Most of the times, a skyline is the fingerprint of a city, so we decided to put together a list with some of the most breathtaking skylines from around the world, a list meant to delight your senses with remarkable engineering triumphs that together with the splendor of nature create a stunning visual effect. Located on the south coast of China, the glamorous Hong Kong has always been famous for its breathtaking skyline, probably the best in the world. 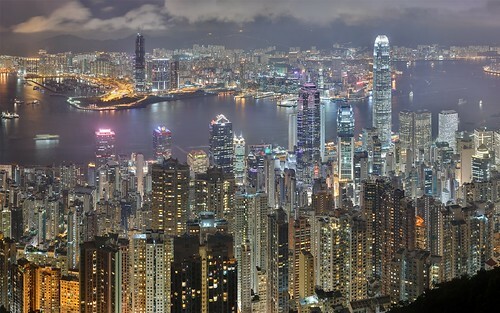 With its modern architecture and incredibly tall buildings stinging the sky, Hong Kong features the highest density of skyscrapers, being also considered the most vertical city on Earth. However, the magic of Hong Kong’s fabulous skyline lies in the perfect synergy between the varied sky-reaching towers, the stunning mountainous backdrop, the lovely Victoria Harbor and the sparkling lights that complement the glossy Hong Kong’s night. How many times have we seen it featured in the movies? How many times have we dreamed and contemplated about it? Well, with such a power of creating memories and so many stories twisted around it, there’s no wonder New York’s tremendous skyline is the most recognizable in the world. Even without the now destroyed World Trade Center Towers, New York City boasts some of the world’s most emblematic constructions, including the Statue of Liberty, the United Nations or the iconic Empire State Building. With the world’s tallest ferris wheel aka Singapore Flyer, 59 skyscrapers that rise higher than 140 m and many others under construction, Singapore features a beautiful sophisticated skyline. 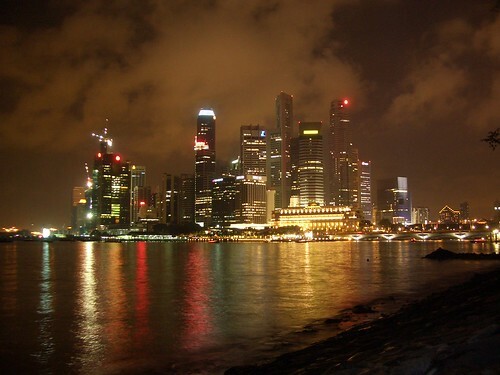 The best views are those around Marina Bay, from where the city looks more like a shiny postcard, than a real image. Whether you choose to admire its dramatic lightning at night, or the impressive constructions softened by sunshine throughout the day, Singapore’s skyline offers you a truly unique unforgettable experience. 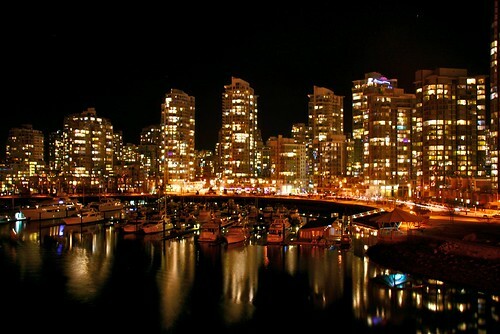 Maybe not as tall or famous as those featured above, Vancouver’s skyline is no way less beautiful. On the contrary, the snow-topped mountains on the background and the cosmopolitan allure of its buildings reflecting in the water surface are drawing a delightful panorama. Additionally, a new project that has revolutionized the architecture world is set to take place in Vancouver. Architect Michael Green wants to replace the striking steel with wood and therefore to build a 30-story wood construction that reaches higher and higher into the blue Vancouver’s sky. Colorful, elegant, posh and definitely in full progress, Downtown Miami skyline is certainly a great experience. As well as the city itself, the horizon here flourishes after dark when Miami’s Latin vibe and its flamboyant atmosphere are brought to life by the moonlight. 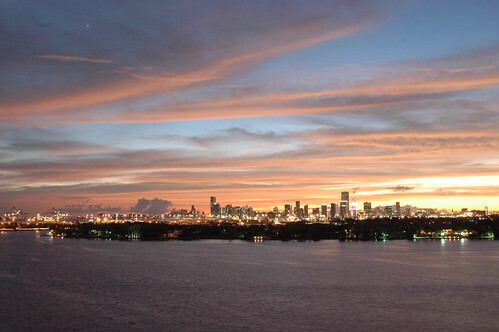 Unlike the other cities above, Miami’s skyline stands out more due to its vast expanse than to the height of its buildings. Even so, the city’s picturesque setting along the Atlantic coast, the almost touchable energy that rises from its wide variety of party venues and the color of the sky reflecting off the sides of the buildings offer magnificent views over the glowing city of Miami. If you wonder why I have decided to include Frankfurt in this list of breathtaking skylines, I must say that from all the European cities, this fifth largest metropolis in Germany is among the few places on the old continent with an impressive cluster of high rise buildings, the other ones tending to keep untouched their architectural heritage. 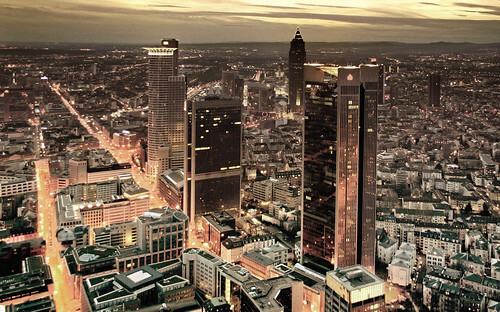 These being said, Frankfurt shiny skyline is definitely something to behold. 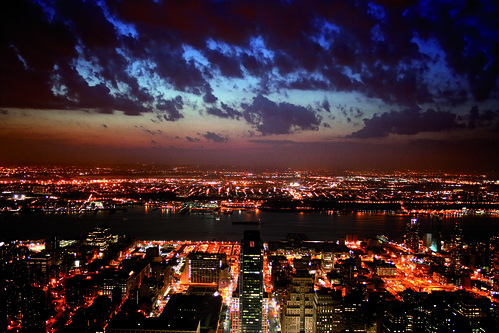 The municipal area boasts nearly 100 skyscrapers beautifully complemented by the Main River which crosses the city. In order to express the pride and the enthusiasm regarding its skyscrapers, Frankfurt hosts every few years the Wolkenkratzer Festival, a one of a kind event where skyscrapers are open to the public and plenty of fireworks and huge laser shows highlight the city’s rising buildings at night. Beautiful skylines, Miruna! I also think the view from Marina Bay Sands in Singapore should be amazing.